There are pros and cons to job hopping as opposed to staying with one company for an extended amount of time. It is important to know what will suit you and your lifestyle best. Job security: It might take a little longer to increase your salary but your job might be more likely to be secure if you stay on a little longer. It looks good for your future employer: When you eventually leave, your future employer will see that you have spent a decent time at your previous job and they will hope that you are looking to stay and develop in their company too. Getting to know your company and your fellow employees: If you stay with one company you are more likely to know your fellow employees and the workings of your company well. This will be on your side as you move up the rankings to more senior positions. 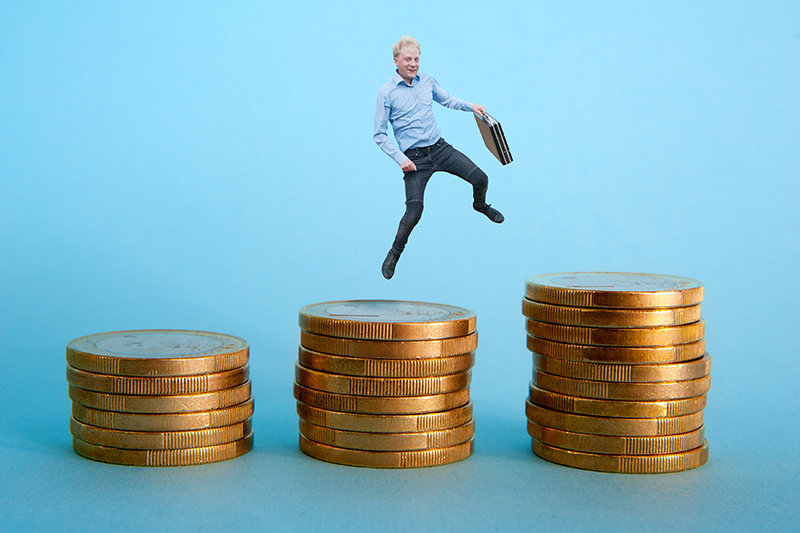 Reaching the top of your pay level: Sometimes you might find yourself in a small business where there is simply no more room to grow or move within your profession. This results in a stagnant pay and job role. It might be harder to find another job: Depending on your job type, if you have been in a company for a long time, you might find it harder to find a job somewhere else due to a rise in your age. The company may eventually close, be sold or have a change of leadership: Staying in a job for a long time may eventually cost you your job as cuts are made or new leadership decides to take in ‘new blood’, meaning more experienced workers are laid off. Job hopping every 1-2 years might seem like a good idea at the time, and indeed it might pay off. It might also catch up with you later. You might move up in salaries quickly: It goes without saying that if you continue to move to something better, you are more likely to go up in salary each time. Various types of experience: Job hopping every 1-2 years will give you a broad range of experience which might make you an attractive prospective employee. Your CV might not look appealing to employers: If an employer is looking for someone who is going to stay and grow with the company, they might not be interested in seeing a CV filled with many previous jobs. You might become exhausted and feel unfulfilled in your job: Job hopping can give you a sense of instability as you are constantly looking for the next best job. You then need to learn a whole new system and make friends with a whole new group of fellow employees. This might take away from your home, social and/or family life. Finding out whether job hopping or staying in one place is better for you can be a difficult choice to make! Thankfully, with a task like this you can seek advice on how to manage and plan your career to suit you. At NotedCareers, we can offer career management services to ensure you make the right choice. Contact us today. https://notedcareers.com.au/wp-content/uploads/Job-Hopping-–-the-Fast-Track-to-a-High-Salary.jpg 600 900 ReachLocal https://notedcareers.com.au/wp-content/uploads/Logo-new.png ReachLocal2016-10-01 10:16:212016-11-23 10:55:19Job Hopping – The Fast Track to a High Salary?